So here’s some thoughts on the matter…. It obviously depends on the sound you ultimately want to achieve, i.e. the sound in your head. Your reference sound. If your ‘sound’ relies on pedals and compressors, or you have a percussive playing style, then you’re going to need a different sounding amplifier to someone who plays straight fingerstyle. There is a solution out there that can accommodate pretty much every style of acoustic guitar and push it out loud and clear without any colouration. What do we mean by ‘colouration’:? 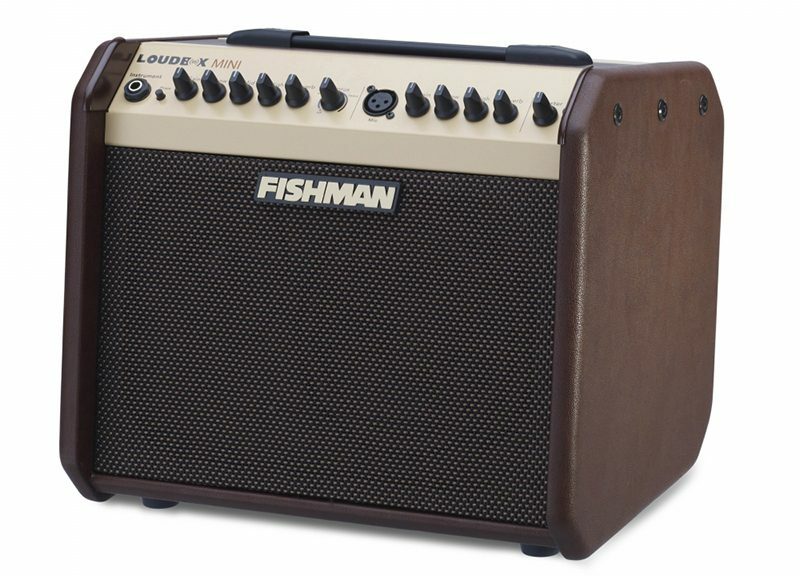 Many acoustic amplifiers are ‘voiced’ to sound a certain way, and if you enjoy that particular sound, then that’s the very fellow for you, as pretty much any guitar you put through the amp will come out coloured by the amp’s tone, and again, if you like that particular tone, all’s well. 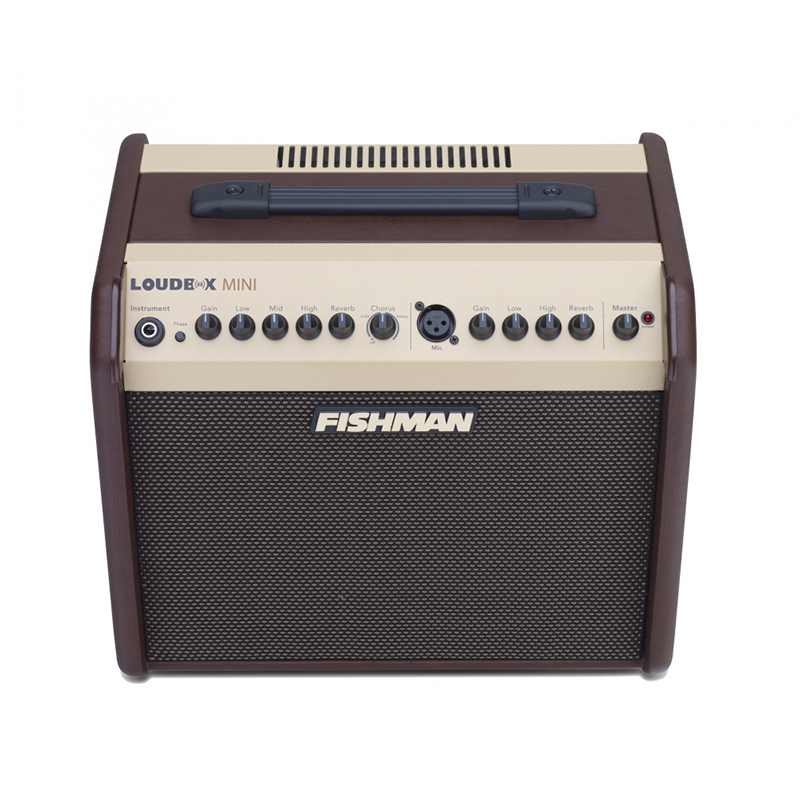 However, there is one set of Acoustic amplifiers that deliver a transparent tone, which allows whatever instrument is plugged into it, to sound like itself and nothing else with no added colour, and that’s the Loudbox series from Fishman. 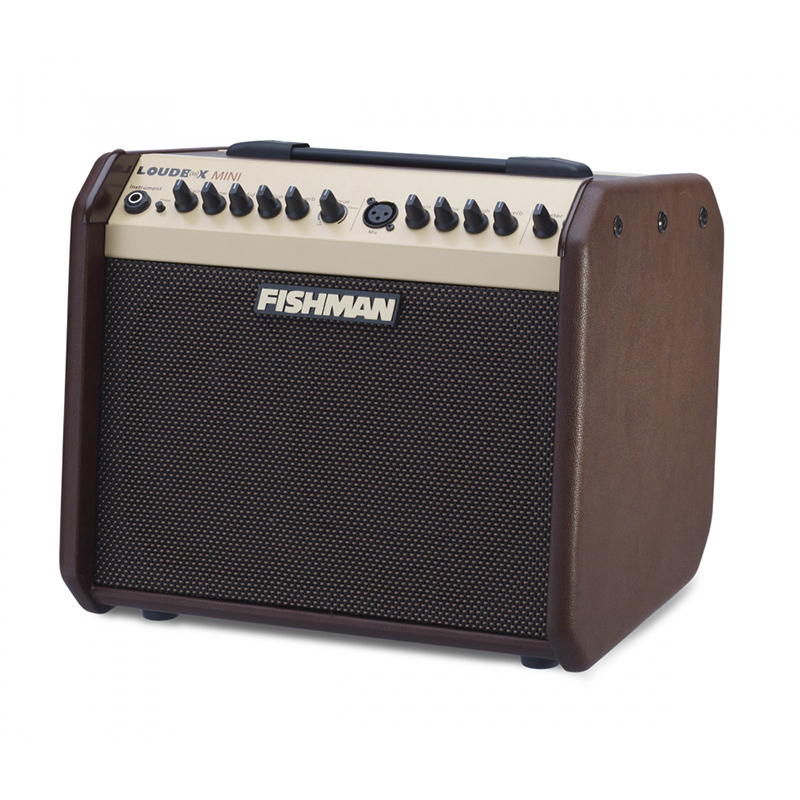 Fishman of course, have a proud heritage of pick-ups and pre-amp knowledge gained from years of being one of the leading manufacturers in the US, of acoustic amplification tools. So their amplifiers have every right to sound excellent. But again, the main reason they do, is that they allow the natural tones of your guitar to shine through. Not only are they Loud! (the clue’s in the name…), but they reproduce the sound from your guitar, cleanly and accurately, with just a simple eq and some cool effects. They even have a channel for a Mic, allowing you to sing at the same time as play your guitar, and believe me that’s where these little boxes come-on strong. The vocal channel is so very good, I’ve never seen a singer who didn’t like the sound of their voice through it, and if you’re a singer songwriter, or just backing a vocalist, these amps are so portable and so LOUD, that you can easily play a pub gig or small restaurant without the need for a PA.
And all the while here, I’ve only been referring to the Loudbox Mini! The Artist and Performer both have 2 channels and are 120 W and 180 W respectively. The Focal CMS series have been very popular options at their respective price points for a few years now, and they certainly offer a well balanced set of specs that we’re always happy to recommend here for smaller budget concerned studios in need of great near fields. 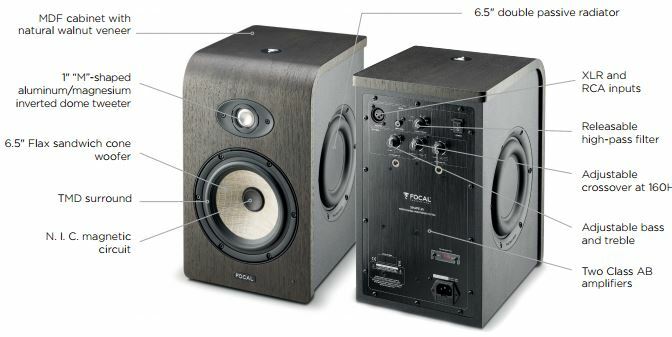 So it’s with great interest that we see the announcement of the new Focal Shape range, coming in around the same price points as the older CMS models. What’s changed you may ask? Well, at first glance, quite a lot and not in the least those new side radiators. Yes, multiple! For those not overly familiar with passive radiator setups, its hardly surprising given they are not the most common of speaker designs, although many studio user will no doubt have come across a pair of the Mackie HR series over the years which made great use of this technique. The Mackie design however is a single rear radiator, so seeing a dual setup in play on the Shapes is something even more unexpected. The passive radiator design is there to help reinforce the low end, simply by taking the internal noise of the speaker and focusing it into usable sound. 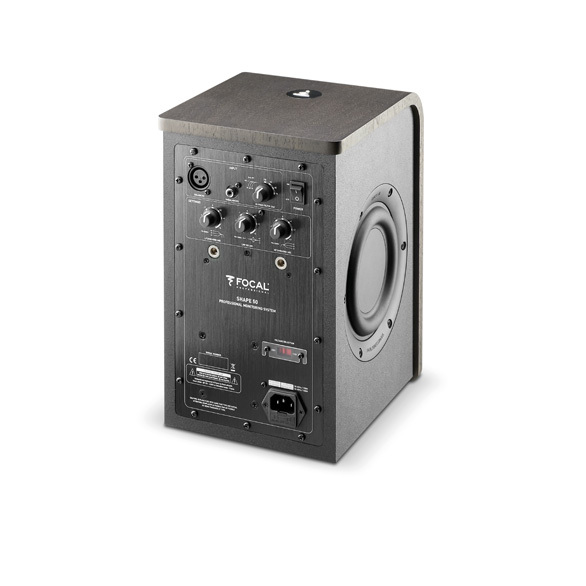 Most speakers tend to have some kind of bass port to achieve this reinforcement as smaller speakers can hardly be expected to hit those super low frequencies, although the side effect of more traditional bass ports is added harmonic distortion and the tendency to slew the time domain to some extent. The passive radiator design removes the cause of the distortion which normally is air being pushed through a tube, and instead offers a more controlled way of handling the bass reinforcement. The other side effect of this means that thanks to the lack of porting, this also looks be fully sealed box design. Sealed box speakers naturally tend to have a tighter sound with more responsive transients, giving you a more tighter more clinical and detailed sound. The downside however is that without venting it takes a more powerful amp to deliver the same sound pressure levels as ported designs, but the sound that is there should be all the more detailed because of it. The are 3 models with the range flagship the Shape 65 looking to offer a flat response down to around the 40Hz level with around 109dB SPL @ 1m, looking like it should offer a superb monitoring solution for even the most bass focused artists in a smaller home and project studios. The simply doesn’t appear to be anything offering this sort of spec at the price points being discussed here. The speaker design in theory looks like it could be very, very interesting, although how that pays off in the real world is ultimately the key question right now and one we won’t know for sure until a pair arrive in the building. The one thing we can be sure of is that we can’t wait to hear a set of these in our demo room here in Scan. 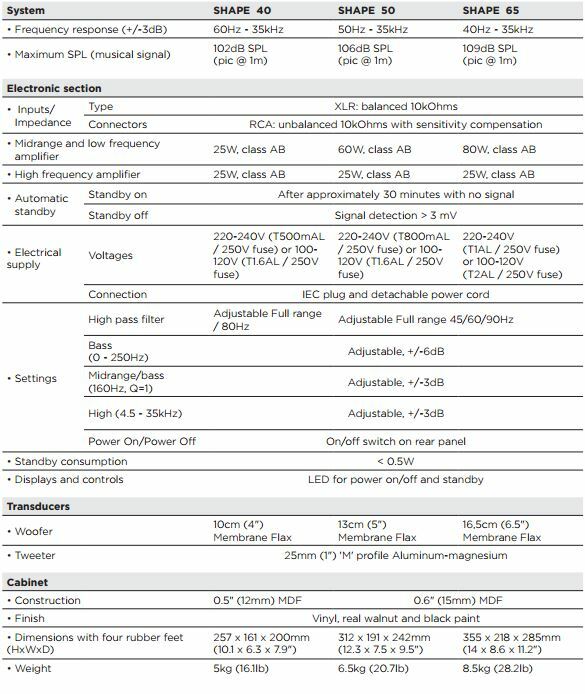 The full Focal Shape range specs in full can be found below. Firstly, this is not an absolute guide… The shape and size of your room, together with working around existing furniture mean that you often have to deviate from these suggestions to get the best results. These are just some best practice ideas to make your setup the best it can be. 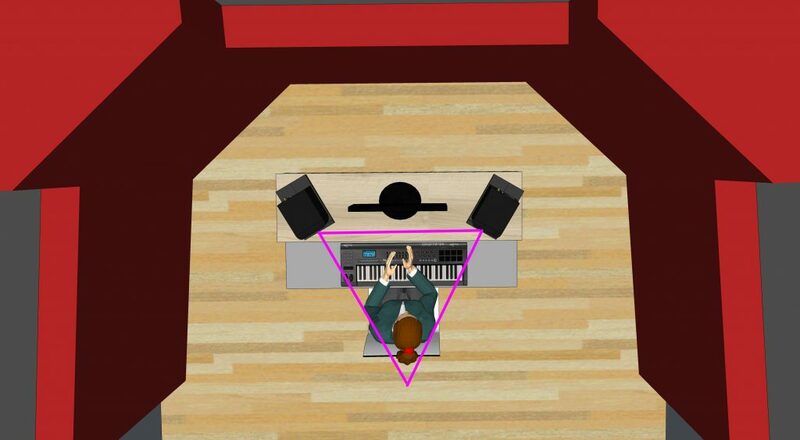 I’m also not going to touch on the subject of room acoustics here, as that’s an entire topic to itself and i’ll dedicate more posts to that shortly, but first, lets check that you’ve got as much of the basics covered as possible. The tweeters of your monitors should ideally be positioned in an equilateral triangle with your main listening position, or rather… the imaginary lines should cross just behind where your head would be. Ideally the tweeters should be at ear height, or at least angled, pointing directly towards your ears at the listening position. You should angle them in towards the mix position at about a 30 degree angle. There’s a lot of different opinions about where in the room you should set up your speakers, but what you really do need to remember is that the closer they are to any wall, the more the bass response will be increased. Many active monitors will have switches to compensate for this, or LF controls on the back to compensate for this effect, the basic rule of thumb is to reduce the LF by 6db for every wall it is next to. 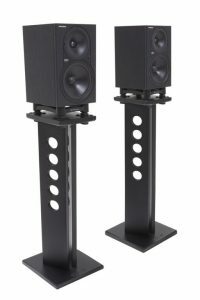 It would be ideal to not have them in the corners of the room, as you would want to roll off 12db of the bottom end for a balanced response and not many monitors let you do this amount. If you can have them more than a couple of feet away from a wall, then you should be able to leave the LF controls flat. 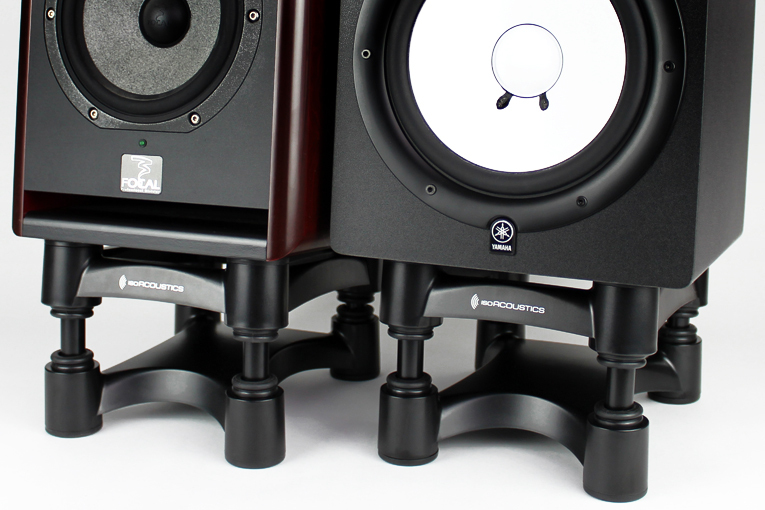 An ideal home setup would generally be having your speakers on stands just behind your table, desk or console. If you do have speakers mounted directly onto your desktop, then the desk would vibrate along with your speakers, essentially making the desk part of the speaker and altering the frequency response of the speakers. This is the same if you have speakers or stands that are directly onto floorboards. Stands don’t now just put the speakers at the right height, they can also isolate the speakers vibration. Carpet spikes have been trying to do this for years in the hifi world, and certainly trying to minimise contact area between your speakers and what they are sat on is always a good thing. One way to tackle this effect (if you have solid concrete floors) is to make your stands very heavy and dense, as heavy objects conduct vibrations far less than lightweight ones. Solid concrete breeze block towers will certainly do the job, but might not look as attractive as you may want. Ideally you would want an isolating device between the speaker and the surface it’s placed on. Foam based isolators are cheap, and are better than nothing, but absorb only some of the vibrations, and of course, the lower the frequency of the sound, the less it absorbs. 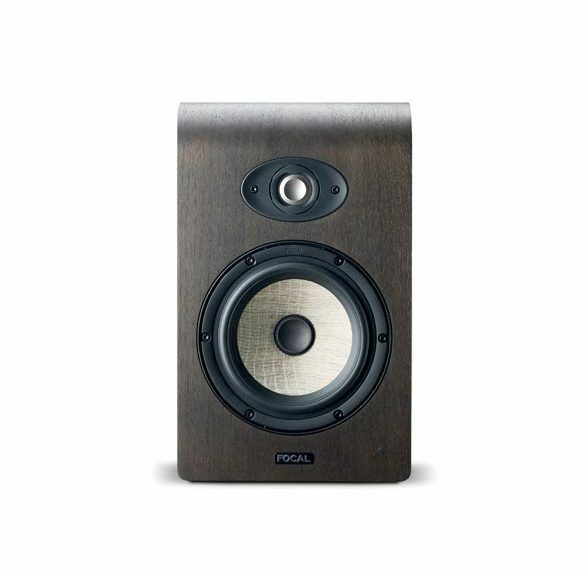 Our favourite ones here are currently the Iso-Acoustics range, these use a mix of plastic, rubber and metal poles to absorb the vibrations very effectively across the entire frequency spectrum and can have a very noticeable improvement in the bass and mid range response of speakers. There are both desktop and floorstanding models. 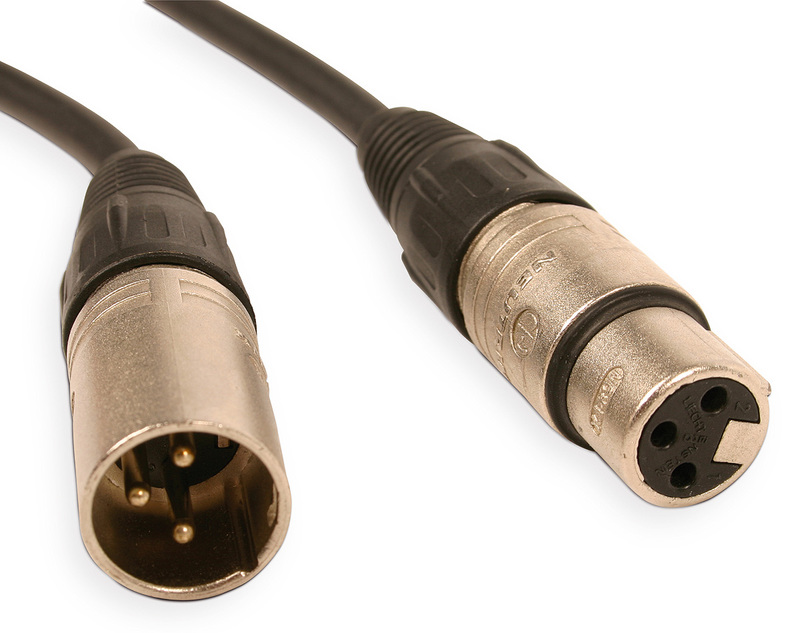 Most active monitor speakers have multiple ways of connecting the audio cables to them. 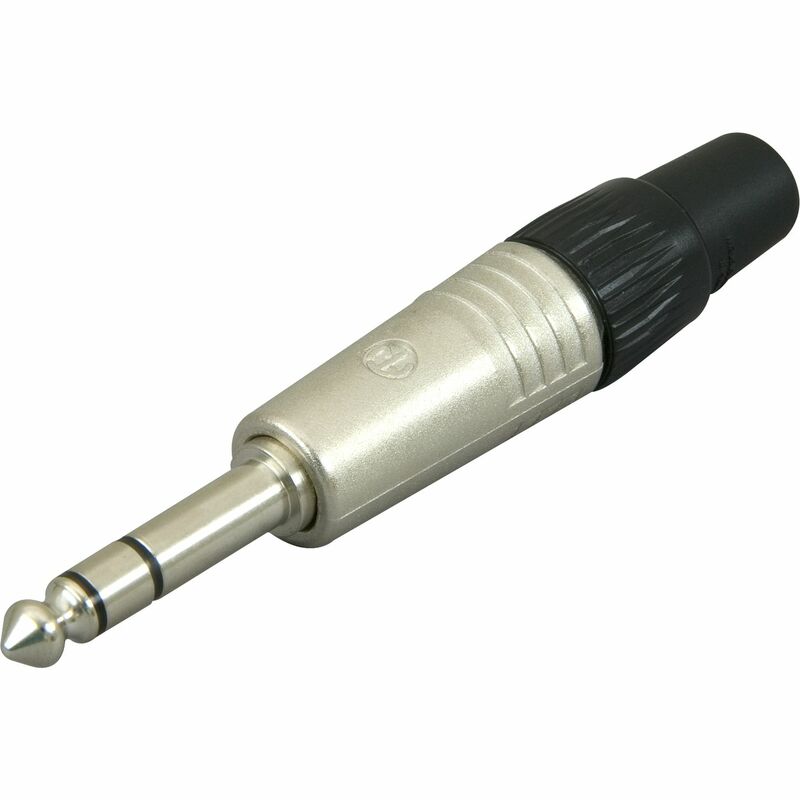 The best ones are either XLR or Stereo (TRS) Jack, as these can be “balanced connections” and these will have the lowest noise. (it won’t work if its not), then it will send two separate versions of the same signal to the speaker (called hot and cold). The cold signal will be the exact opposite of the hot, 180 degrees out of phase. If any noise is picked up on the cable run, it would be picked up on both lines equally, so when the signal enters the receiving device (in this case the speaker) it inverts the cold line, making the original signal back in phase, but the noise is now 180 degrees out of phase and cancels itself out. Poor gain staging of your monitor chain will result in excessive hiss and noise from your speakers, just follow this simple guide to get the best from your speakers. Set your monitor output in your DAW to -1dB. You shouldn’t be clipping your monitor output in your DAW, but it should be peaking as loud as possible without going over. To set your best monitoring range, set your interface output volume knob or monitor controller to its maximum setting and then adjust the volume control on your monitors until they are the loudest you would ever want them to be. Then just turn your interface or monitor controller back down to normal working levels. This will give you both the best signal to noise level possible, but also the most useful gain control. 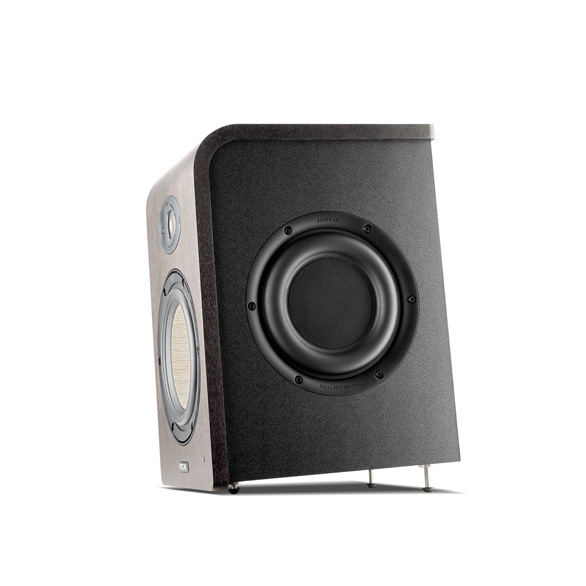 The X1 is renowned for its sound quality and versatility at a budget price. There’s been several variations released over the years and just last year we saw a follow up to the original X1, the X1 A. Now we have another revision, the X1 S which boasts some new and improved features. This latest revamp comes housed in an all-metal body and utilizes a hand-made condenser capsule. It features two high-pass filters as well as a 3 position attenuation switch. 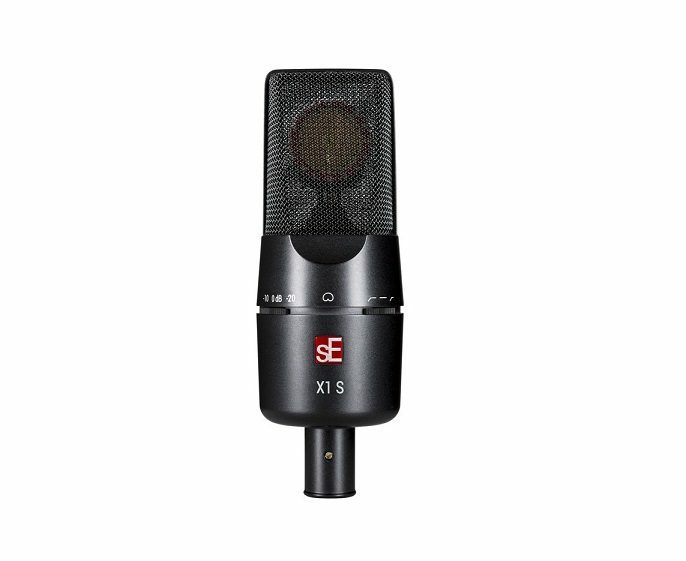 An SPL rating of 160dB is also worth a mention… Not bad for an all-purpose large-diaphragm condenser mic. The X1 S is set to be priced at $249/€249 and is expected to be available in May. The Vocal Pack and Studio Bundle have also been updated. 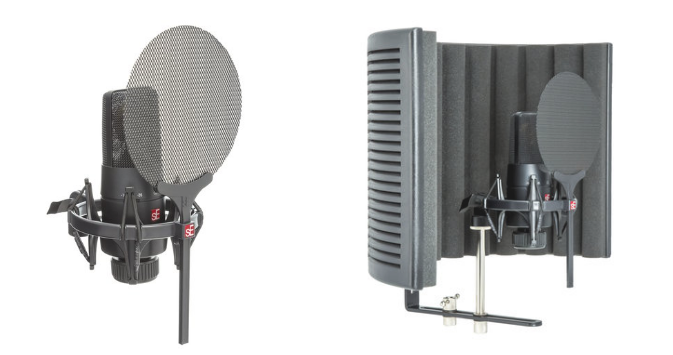 The X1 S Vocal Pack and X1 S Studio Bundle are set to be priced at $299/€299 and $399/€399 respectively. Head on over to their product page for more info.